Is there any way to get free iTunes music? We got many questions on how to get free music on iTunes from the Internet. If you love music and do not want to pay a penny for music collection from iTunes, follow the below tips on how to get free music on iTunes. 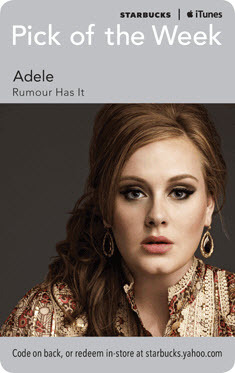 iMusic is the music downloader pro software you can depend on to download, record, transfer and manage music. It is able to download music from over 3000 music sites to MP3 for MP4 format, record music from unlimited radio stations and music players, transfer music from iTunes Library to Android phone/iPhone/iPad/iPod, export music from Android phone/iPhone/iPad/iPod to iTunes Library/Mac and more. Step 1: Download and install iMusic on your computer. Launch it and click "GET MUSIC" tab. There are 3 options: DICOVER, DOWNLOAD and RECORD. Step 2: Download music from built-in library. Click "DISCOVER" to see the built-in music library. There are many hottest playlists. 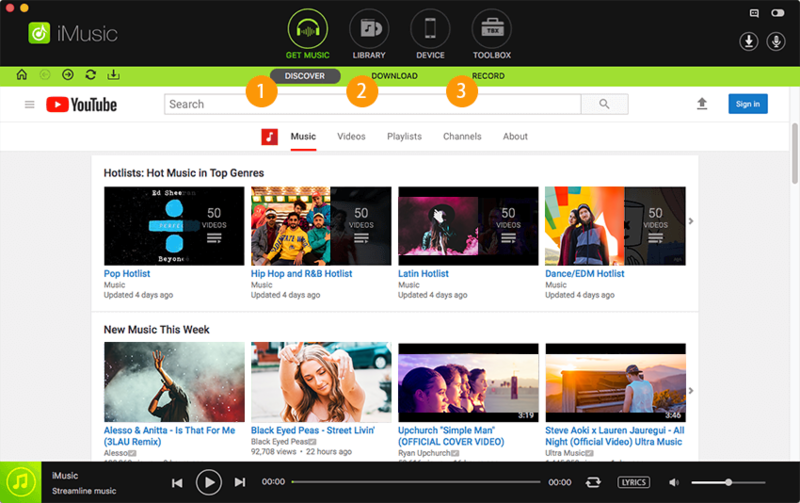 You can search for your favorite ones by searching by artists, playlists, albums, and more. 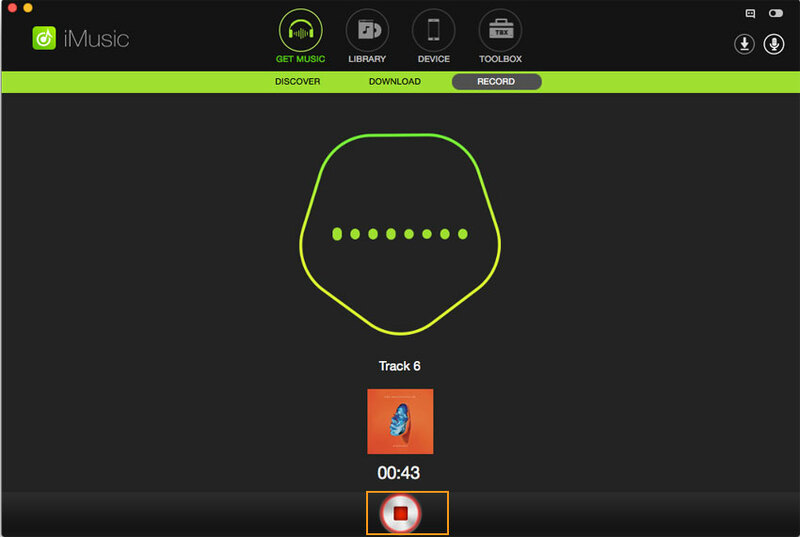 After then, click the download icon beside the result to download the music. Step 3: Download music from other sites.Click "Download", then you'll see the download window. You need to open your web browser and open the song you need to download. 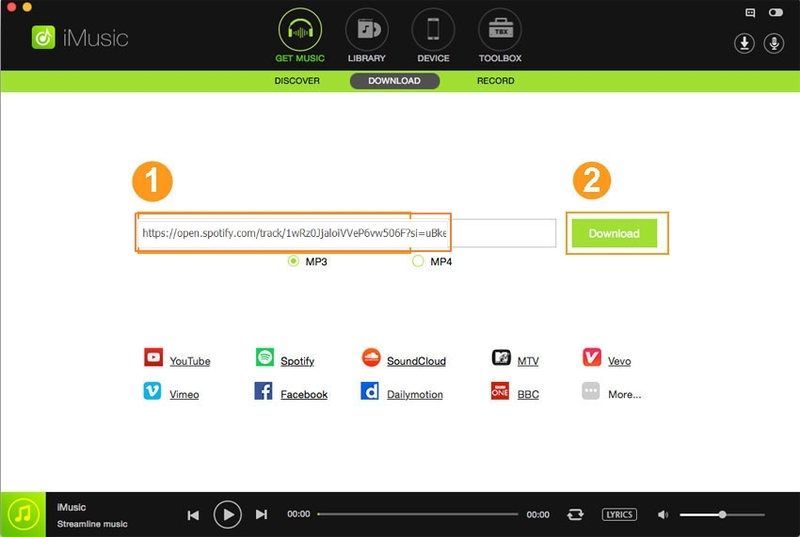 Copy and paste the URL of the song to the download box. Select the download file format and click "Download". 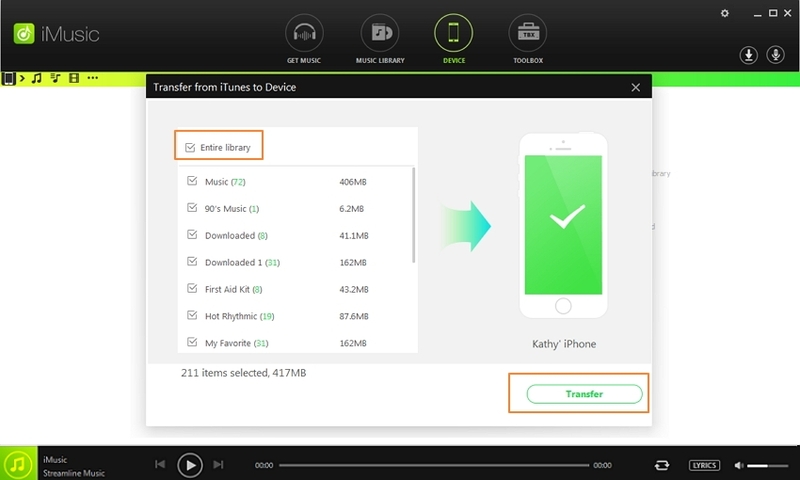 Step 4: Record music from radio stations and music sites. Click the "Record" button and then the red record trigger button, letting the software be ready for the record. Play the music you want to record. After that, you can see that software begin to work for you. Please note that all downloaded and recorded music will be saved to music library. Click "LIBRARY", then you can play and transfer them. iTunes will release some free songs from artists every week. 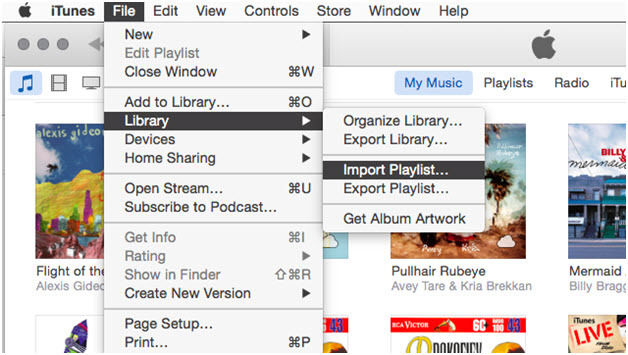 You can go to iTunes home page and open iTunes Store from the left pane of the main interface. Then navigate to the right pane, you will see Quick Links. Now click "Free On iTunes" under the "Quick Links" tab, all the free contents on iTunes will be shown. To download free music on iTunes, just login your iTunes account and click the "Free" button to get free songs on iTunes. In the Podcasts section, you can get free music-oriented podcasts from iTunes, while some podcasts may include tunes and commentary. 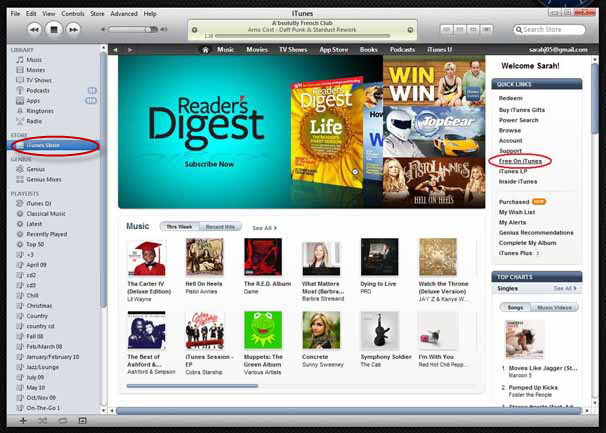 To get iTunes free music from Podcasts, click the arrow icon beside the Podcasts in the iTunes home page. Then select the Music option and you will see all free music listed on the main interface. Just click on any music you want and press the gray Free button, the music will be downloaded immediately. Or you can click Subscribe beside the music, and future episodes of the Podcast will be downloaded once they become available. 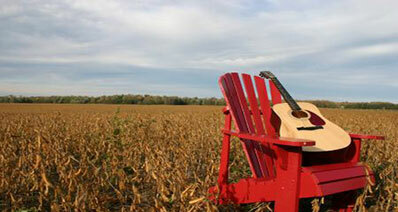 Startbucks provides you with Pick of the Week section to get free music from iTunes. You are able to get Pick of the Week card on the counter or sugar table in Starbuck store. Also you can download Pick of the Week from Starbucks digital network. You will get songs and artists in front of the card and download code on the back. Just go to iTunes home page > iTunes store > Quick Links > Redeem, and input the code to download free music on iTunes. 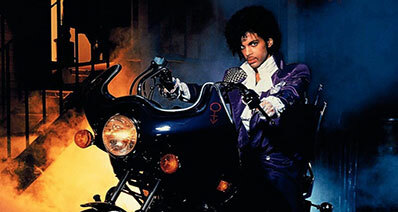 ListenToYouTube.com is an easy-to-use online service allowing you to get YouTube music for totally free. You can just copy and paste a YouTube music URL to the site, and this online YouTube to MP3 converter can directly download MP3 from YouTube. Once you get the MP3 file, you can transfer the file to your iTunes library. YouTube-mp3.org is another online YouTube to MP3 converter that enables you to convert videos to MP3. You do not need an account but just a YouTube URL. Then this online converter will download MP3 from YouTube for you. The downside is that you have to download the converted file from their server. vidtomp3.com not only supports to convert YouTube to MP3, but also allows you to get MP3 file from many other popular video sites like Dailymotion, Metacafe, Myspace, Break, Veoh, Vimeo, and more. You only need to enter the video URL to the site and click Download to get MP3 file.